Miso Crafty Knits: Oh Yes I Did! I started a new project. It just...happened. I really didn't mean to cast on a new project. I seriously had every intention of finishing up my Boxy pullover before I even attempted to start something new. But then Boxy had to be put on an unexpected hiatus due to skein alternating problems. So really, what was I suppose to do? Knit on WIPs that have been on the needles since forever? But really, to me it seemed inevitable that something new had to be cast on. And we all know how I've been obsessing over the Viajante shawl...I have tunnel vision when it comes to that shawl. So would anyone actually be surprised if I had cast on for it already? Yeah. I didn't think so. I mean, come on. How can I resist that beautiful cake of yarn? Yes, it may have been pre-mature to wind it before I was ready to knit with it, but as a former Girl Guide I like to be prepared. One of my favourite quotes is "luck favours the prepared" (I first heard that when Edna Mode said it on The Incredibles but I think it originated from Louis Pasteur), so really, why tempt fate and not be prepared in case something should arise in which I needed my hank of Wollmeise Lace-Garn wound up? Right? Thanks Cate, I can't wait to see yours too! 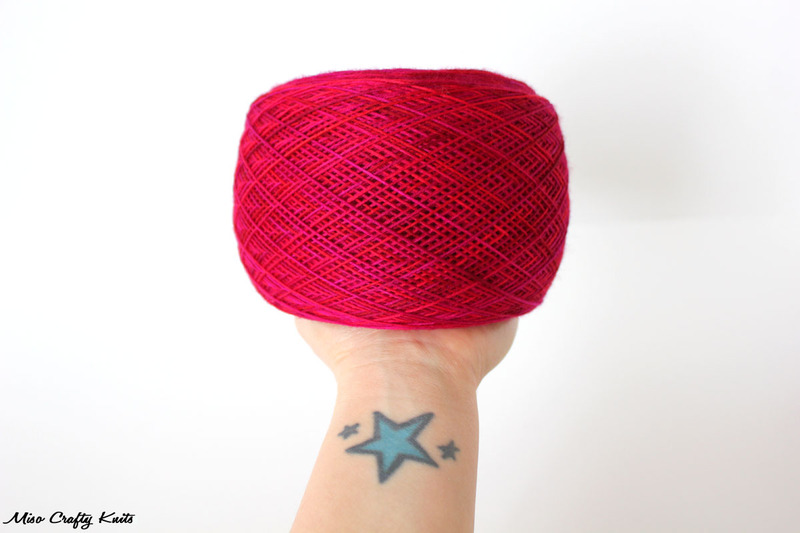 Ooohhh, I've been eyeing Strathcona for a while but can't decide on a yarn or colour, but after seeing Rebecca's, I think it has jumped up a few spots in the queue! That yarn is gorgeous...I don't blame you a bit for starting it. The shawl will be stunning. I am looking forward to your pictures of the finished project. I just drooled a little bit in my mouth..... I am resisting the urge to jump on this bandwagon... but the end result is SO DELICIOUS! Thanks Grace! Hahaha, obviously I gave in to the temptation! I just hope I can pull off the shawl! This yarn is amazing! Seriously, it has me swooning. Had it been in my stash I would not have been able to contain myself either. Also, love the name of the project ("viajante" means traveler in Spanish, but you probably already knew that)... it makes me think of adventures in faraway lands. It's actually quite interesting that before this pattern was published I never drooled over or even really took much notice of this colourway. But now that I have it, now that I'm knitting with it, I don't know how I lived without it! I just hope it's not blindingly too bright in the end! Thanks for your comment! No worries about asking questions of any kind, as it's one of the ways of learning! 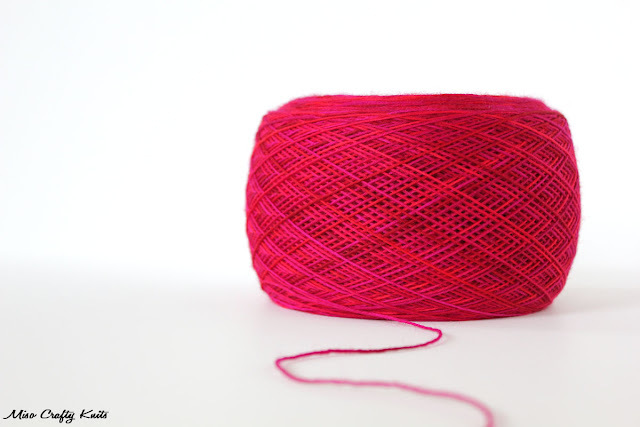 :) Have you been knitting a full 4" swatch or are you just knitting a swatch that reaches 1"? Gauge and swatches have such discrepancies that sometimes it's hard to figure out what's going on! I find knitting the stitches recommended for gauge (so the 22 stitches) plus an extra 10 stitches (for edges and to make measuring a little easier) really helps in determining a proper gauge. Also, about the majority of gauges given in a pattern is taken AFTER the swatch has been washed/blocked/dried. Have you tried washing your swatches? 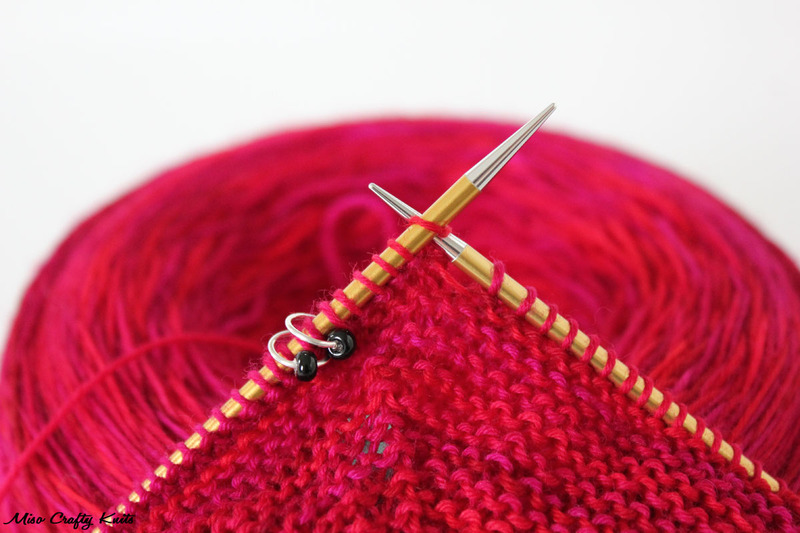 I find that my gauge can change a full stitch and a bit after my swatch has been blocked.